If you like this Product you might be interested in the VIP Bundle PROMO at just $199 (MSRP $249) for the entire collection of 50 Plug-ins ! This is a two channel electro-optical compressor/limiter designed for the utmost in transparency, detail and versatility. The plug-in's soft-knee design offers smooth, effortless dynamic control with the ratio adjustable from light compression to brickwall limiting. The Response knob adjusts the compressor's attack while the release is set automatically. Adjust the Input Gain to increase the amount of compression and Output Gain to increase the overall level. The Selector Buttons choose the frequency to activate the internal sidechain features. Input Gain - Increases the amount of signal sent to the compressor. Response - Determines the speed at which the compressor reacts to the incoming signal. Output Gain - Increases the level of output for the compressor. Soft Knee - Smooths out dynamic control. Selector buttons - Choose between Off, 100 or 200 Hz to activate the internal frequency sidechain. In today's market, music production is constantly evolving. Producers, composers, musicians and artists alike need professional sounding plug-ins that are simple and easy-to-use! All too often, precious studio time is wasted struggling with audio plug-ins that are unnecessarily complicated to operate. Plug-ins need to inspire creativity, not discourage it! In response to demand for great sound quality and total efficiency, Plug & Mix has developed a series of plug-ins that will change the way you think about plug-ins. Plug & Mix partnered with leading plug-in designers from around the world to bring you the V.I.P. plug-in series. This series delivers the same professional sound you would come to expect from other major plug-in manufacturers, but they are much easier to use. Designed with an emphasis on quality and simplicity, each plug-in has a clean interface with only the most essential knobs and switches. With the V.I.P plug-in series, dialing in a great sound has never been easier: Simply load the plug- in and turn a knob or two for instant sonic satisfaction. NO iLok OR eLicenser DONGLE REQUIRED! AudioUnit, AAX, RTAS or VST compatible host. You may authorize up to 5 computers with a simple one-click authorization procedure. PPC Macs are not supported! Pentium V 2GHz / AthlonXP 2GHz with 1GB of RAM. Windows 7 or above recommended, both XP and Vista are supported (32-bit and 64-bit). AAX, RTAS or VST compatible host. 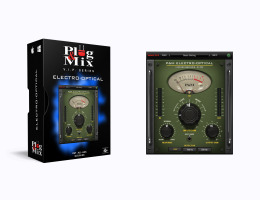 The Plug & Mix Plug-ins DEMO download links are available from our "V.I.P. Plug-ins Download Page". Download the full Plug & Mix software collection. Choose your preferred platform (Mac/PC) and the format of your choice (AU - AAX - RTAS - VST). Once downloaded, launch the installer and select the plug-in(s) you wish to install. Once installed, the plug-in(s) will start working in DEMO mode. Once the demo versions installed, you only need to authorize them as described in the authorization paragraph below to use them with no limitation. Stop processing signal after 30 minutes. After 30 minutes you may relaunch the plug-in for your demo to become active again. Download P&M Plug-Ins DEMO Versions. Please visit our P&M Plug-ins TECH SUPPORT and FAQ pages before contacting us. Our official P&M Plug-ins FORUM BOARD is also available for further information. All product names used above are trademarks of their respective owners which are in no way associated or affiliated with Plug & Mix. These trademarks of other manufacturers are used solely to identify the products of those manufacturers whose tones and sounds were studied during Plug & Mix's sound model development.